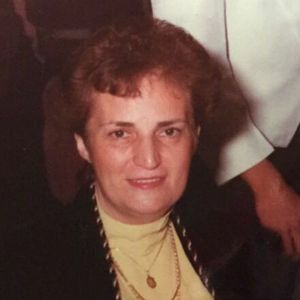 Grace (Falino) Fazio, 83, beloved wife of Angelo Fazio, passed away on Wednesday, May 10th, 2017 at Vitas Health Care in Sunrise, Florida, surrounded by her family. Born in Boston, she is the daughter of the late Peter and Concetta (Patti) Falino. Grace grew up in the West End of Boston and lived most of her life in Stoneham. For many years, Grace worked as a stitcher in the garment industry. Grace and her husband loved to travel and retired to Sunrise, Florida. She loved her family and her greatest joy came from being with her grandchildren. In addition to her husband of 64 years Angelo, she is survived by her four children: Sarah Jackson and her husband Bobby, Angelo Fazio, Jr., Peter Fazio and Patti DiMinico; nine grandchildren: Chris, Lynnelle and Roland Jackson, Jessica and Michael Fazio, Matthew Fazio and Nicholas, Anthony and Gianna DiMinico; two great grandchildren: Alexis and Jayce Jackson; along with many loving nieces and nephews. She is predeceased by her siblings: Tony, Patsy and Mary Falino. Family and friends are cordially invited to gather and share memories at the Barile Family Funeral Home, 482 Main Street (RT 28) Stoneham, on Thursday from 4-7:30pm. A Prayer service will be held immediately following the visitation at 7:30pm. In lieu of flowers, please consider making donations to a Charity of One's Choice. 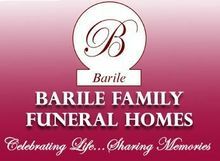 For additional information, please visit www.facebook.com/BarileFamilyFuneralHome.